It is no secret...staying fit is good for your health, your body, your mind. And when you are strong off the bike...you are strong on the bike. It is a symbiotic relationship...live strong...live fit. Here is a great simple and intense wod for you today! - Gently wash your bike and make sure not to use a pressure hose (that will get water in all the wrong places). 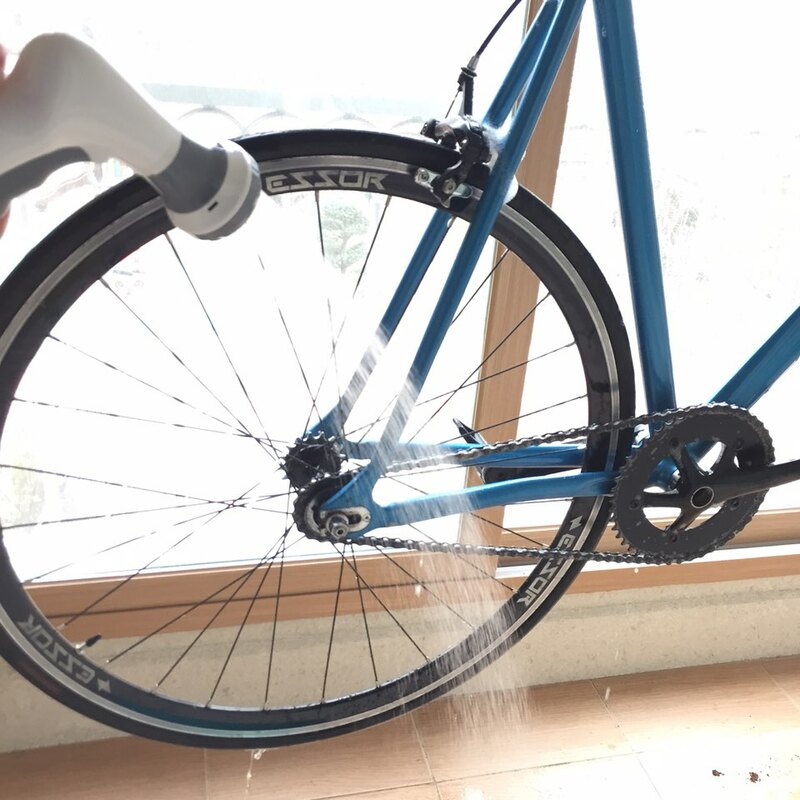 Use a soft sponge and soap to gently rub your bike clean and rinse again. - Check you tires for wear and tear. This will show you if there are any possible problem spots. Also check tire pressure and add some air if needed (the psi rating is written on the side of tire; if you over inflate, the tire will pop...proper air pressure is an important thing to keep in mind). 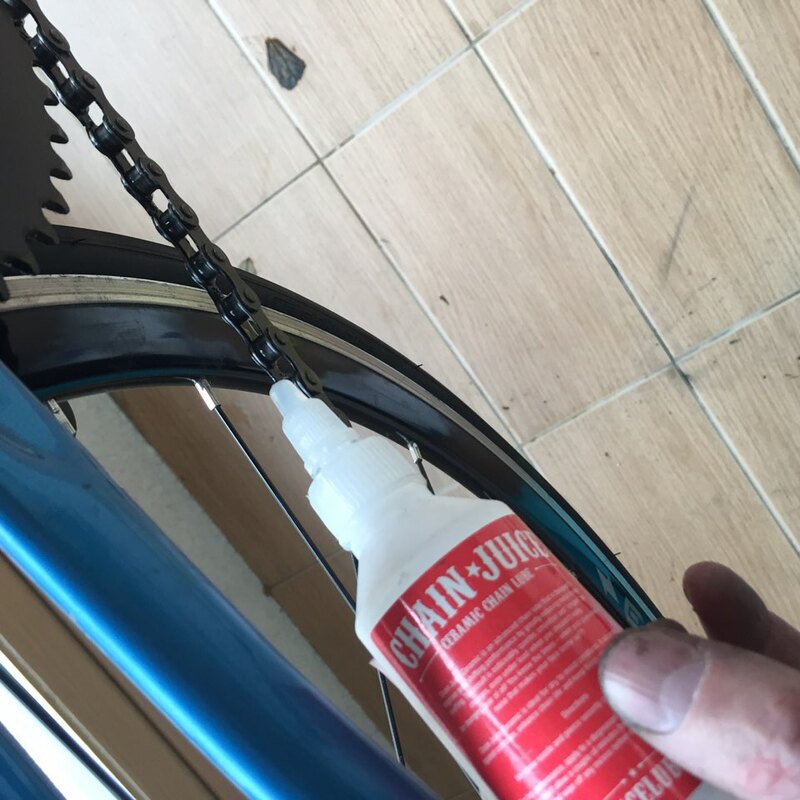 - Lube your chain (important to lube the middle of the links and not the whole chain). If you lube all of it too much, it will only attract extra dirt and grim. The middle of the links if sufficient and wipe with an old rag the excess lube. Cycle through your gears to make sure everything runs smooth. - Adjust your gears for smooth shifting action and your basic maintenance is over. Hope you enjoyed our simple spring maintenance guide and ride safely. It's important to check your bike from time to time to avoid problems and unessary wear/tear. As the weather gets warmer, the paths will get more crowded. Remember to slow down in certain areas and avoid accidents. South Koreans love to eat Raw Fish, which is called Hweh. It is best to eat it on the Korean Coast which lines most of Korea, since Korea is a peninsular country. Seoul Cycle has done a how to eat Hweh like a pro in a two part short video. We have also added a script if you want to read along while you watch the video. Eating raw fish in Korea is very popular. It is called Hweh Follow our easy steps to impress Koreans and your tastes buds ****(click on CC to see instruction captions)**** Most times, you'll see people drinking Soju with this dish for 2 reasons. Eating raw fish in Korea is very popular. It is called Hweh This is our part 2 how to....Follow our easy steps to impress Koreans and your tastes buds. ****(click on CC to see instruction captions)**** Usually when people eat Raw Fish (Hweh) the also order a spicy soup (called mae oon tang...매운탕)...that makes the perfect companion to your meal.